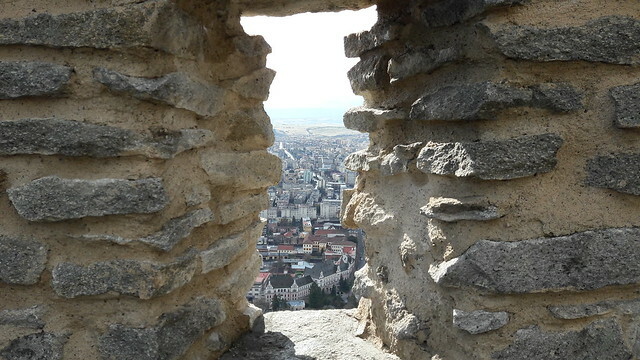 Human beings seem to have a weakness for castles, fortresses or citadels build on high peaks, from where they can guard and frighten us at the same time. 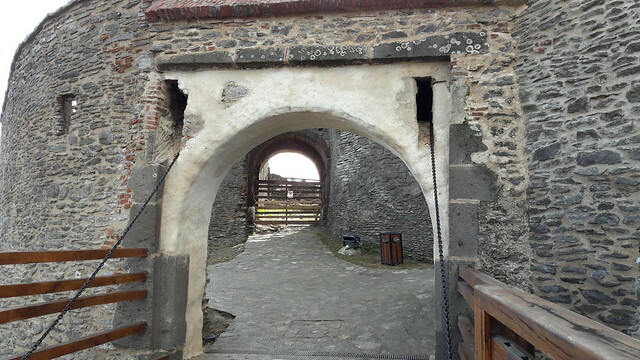 We are not different, so it was time for us to go up to the Deva Fortress and see what it has to offer. 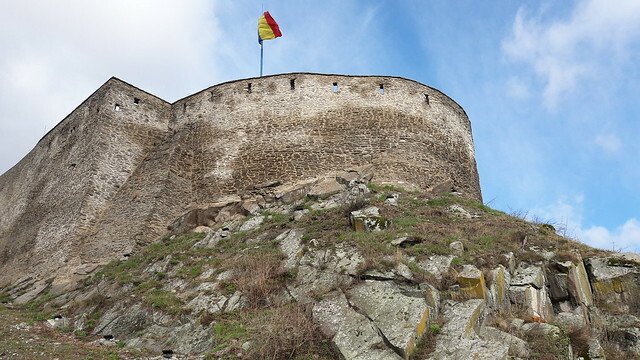 The Deva Fortress was built at the middle on the 13th century, but due to its strategic location, the area was inhabited since Prehistory. Thus there were found traces of dwelling from the Neolithic and the Bronze Ages. 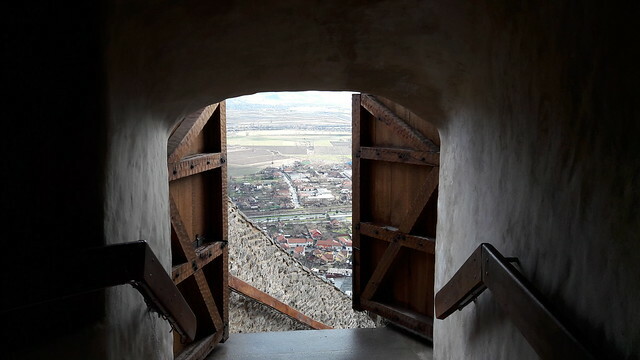 The fortress is built on the top of a hill, a volcanic cone at the 378 m. In the medieval times, it used to be one of the most important Transylvanian fortresses and it guarded for centuries the entrance to Transylvania on the Mureș Valley. For this reason it was named “The Mureș Key”. 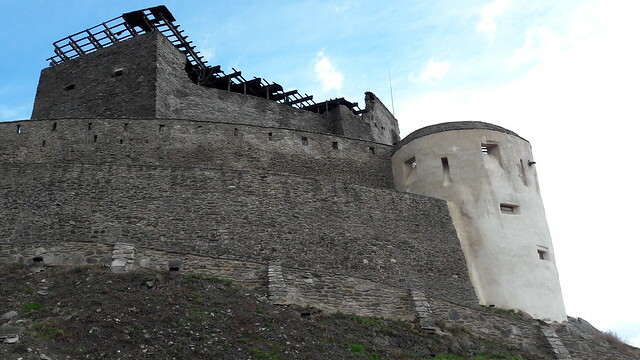 The fortress was in a process of restoration for some years, but now the work is stopped due to lack of funds. Still the fortress is in a good shape and deserves to be visited. Access to fortress is possible both on foot on footpaths beaten by locals, by car on the old road, but also using a cable car, a mono liner lift. 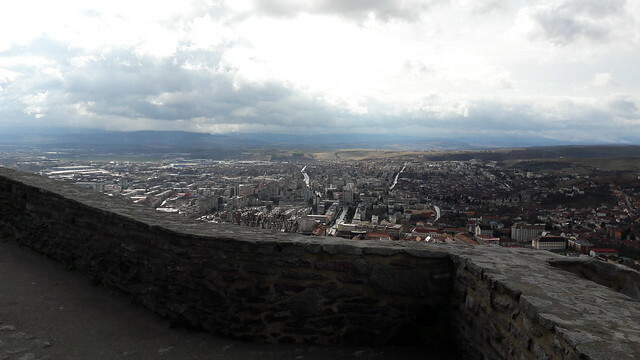 The view from up there is stunning, you can see a good part of the Mureș Valley and the Deva city. The fortress has a very rich history starting in the Neolithic era, but we don’t have so much information about that period. Starting with the medieval times the information about the fortress can be found much easier. 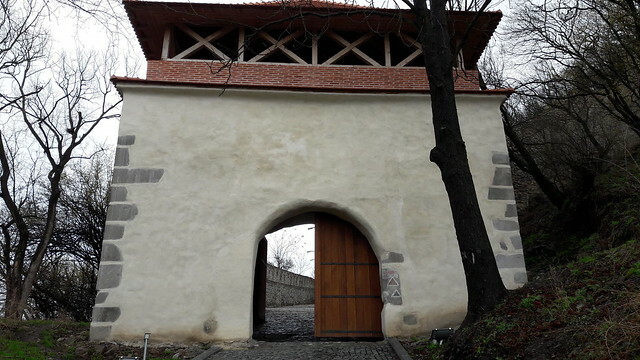 The first documentary mention dates back to 1269 when the Hungarian King Stefan I donates the fortress to a vlach ruler. 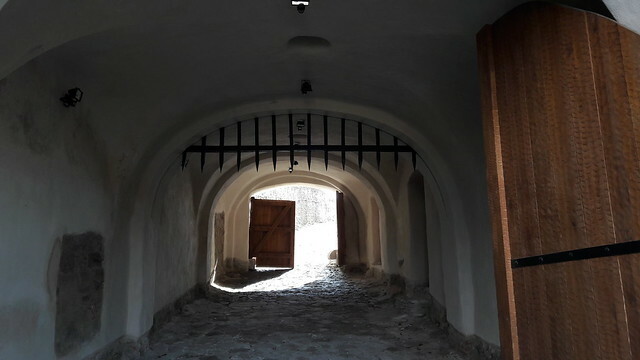 From that moment on, there is a lot of data about the fortress and during the centuries it passed to different noble families, in the end becoming the residence of the Transylvanian Voivode. The structure of the fortress suffered successive transformations, each owner adding something to it. A defense wall, a new room, a ballroom, a bastion or even the whole one-story fortress. They wanted it not only to be used for defenses and occasional meetings, but to serve as luxury place as well. 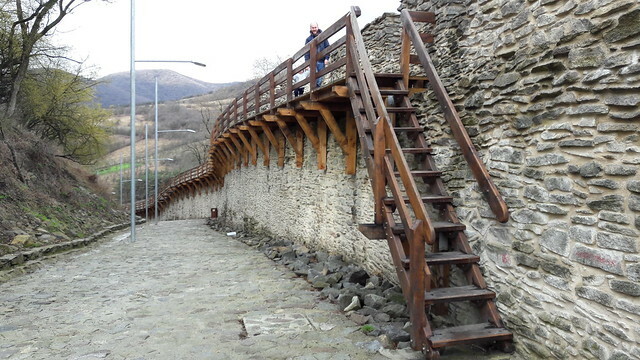 The lower wall of the fortress was completely restored and includes defense towers and palisades. You can get to this area if you come on the old road from the city. One thing that we didn’t like was the fact that they used lighting poles on the road next to the first defense wall. We are quite sure they didn’t have lighting poles in the middle age. At the upper level of the fortress and the main area the restoration stopped, unfortunately. You can visit some towers, where chambers were arranged, but mostly it’s in ruins. 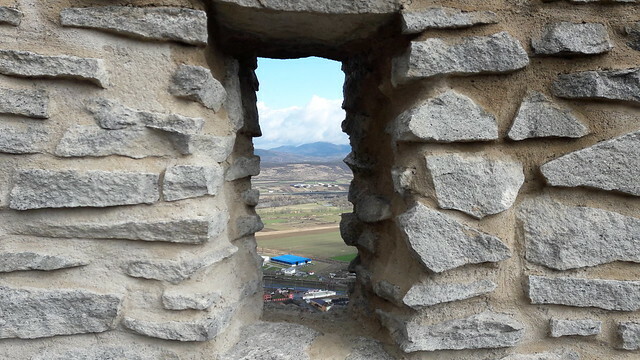 We walked for about 90 minutes thorough the stone walls, admiring the view and breathing history from these walls. One interesting warning was regarding the poisonous vipers that are living between the stones and you have to be careful where you put your hands and feet during the sunny days.